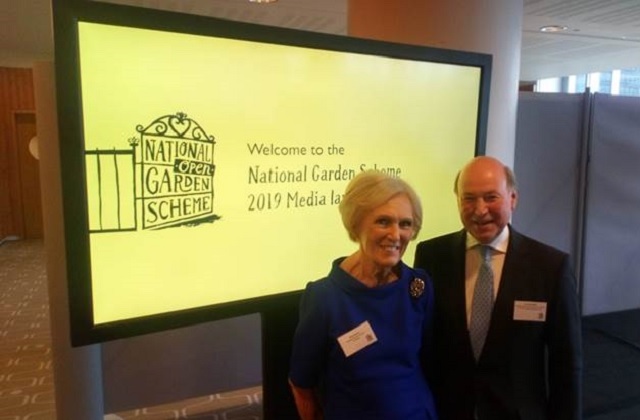 Lord Gardiner yesterday (27th March) formally launched the National Garden Scheme for 2019, with more than 3,500 private gardens opening their gates to visitors every week to the end of October. There has been coverage of the event in trade media including Horticulture Week. The National Garden Scheme opens thousands of beautiful privately-owned gardens for charity, ranging from impressive country houses to inner-city green spaces, community allotments, hospice and school gardens. With people able to discover gardens not otherwise open to the public, the National Garden Scheme has also announced total annual donations of £3 million to nursing and health beneficiaries, bringing the total donated since the charity was founded in 1927 to £58 million. Speaking at today’s launch at London’s Royal Festival Hall, Lord Gardiner celebrated the achievements of the National Garden Scheme and the physical and mental health benefits available from spending times outdoors. This comes as government marks 2019 as its Year of Green Action – an initiative to connect more people with the environment and raise awareness about the simple steps everyone can take – in their home, garden, workplace or school – to make a difference to the natural world. The natural world plays a vital role in improving our mental and physical wellbeing. I am delighted to launch formally the National Garden Scheme for 2019, opening up access to some of the country’s finest gardens. During this Year of Green Action, we want more people than ever before to have the opportunity to get outside and explore the many gardens on offer, discovering the beauty of nature and the health benefits this brings. There has been coverage in the Telegraph and the Basildon Yellow Advertiser of the decision by the Natural England Board to confirm a network of sites at Langdon Ridge as a Site of Special Scientific Interest. Around 345 hectares of land across parts of the town and surrounding areas has received legal protection for its nationally significant array of grassland, woodlands, rare plants and insects. The new designation will ensure stronger protection for features such as wildflower rich grasslands, woodland habitats, as well as rare species such as the Deptford Pink and the Grizzled Skipper butterfly. Habitat fragmentation is a key conservation challenge, and a key element of this designation is that it looks at how species use the landscape as a whole. The SSSI will ensure protection for not only the existing high quality environments, but also the interconnecting green corridors of habitat that enable species to move between locations. Natural England is here to make sure that people and nature can thrive together. I am delighted therefore that we have been able to extend the protection for this nationally important network of sites around Basildon which as well as being of huge value for wildlife is a much loved and much used open space for local people. The support from our partners and stakeholders across the area has been vital to our work and we look forward to continuing to work with them. This is an ideal area for people to make a commitment to get involved with the Year of Green Action, with lots of opportunity to engage with, enjoy and help protect nature close to where they live. Langdon Ridge is an amazing wildlife-rich landscape within 25 miles of central London that fully deserves SSSI status. 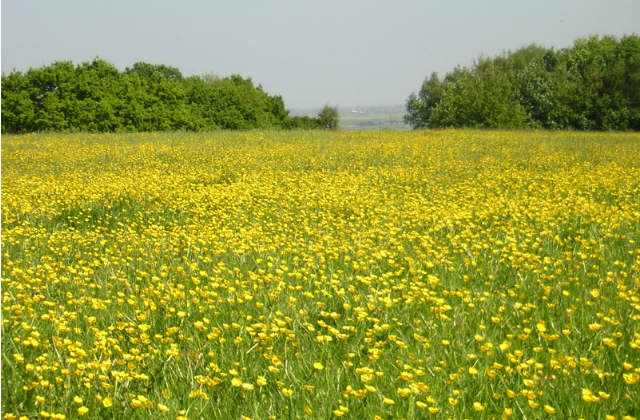 It is particularly extraordinary because it is a large, 345 hectare mosaic of species rich grassland and woodland right on the edge of Basildon, providing a brilliant opportunity for local residents to enjoy nature right on their doorstep. Away from the town it offers fantastic views of the Thames Estuary and links in well with other SSSIs in that part of Essex. Langdon Ridge is living proof that wildlife and people can both thrive if the will is there, and congratulations to all the local people and organisations who have made it possible.